We LEARNED so much with Letter L this week! We loved literature with Luis the Librarian and we laughed our way through the book, The Lamb Who Loved to Laugh! 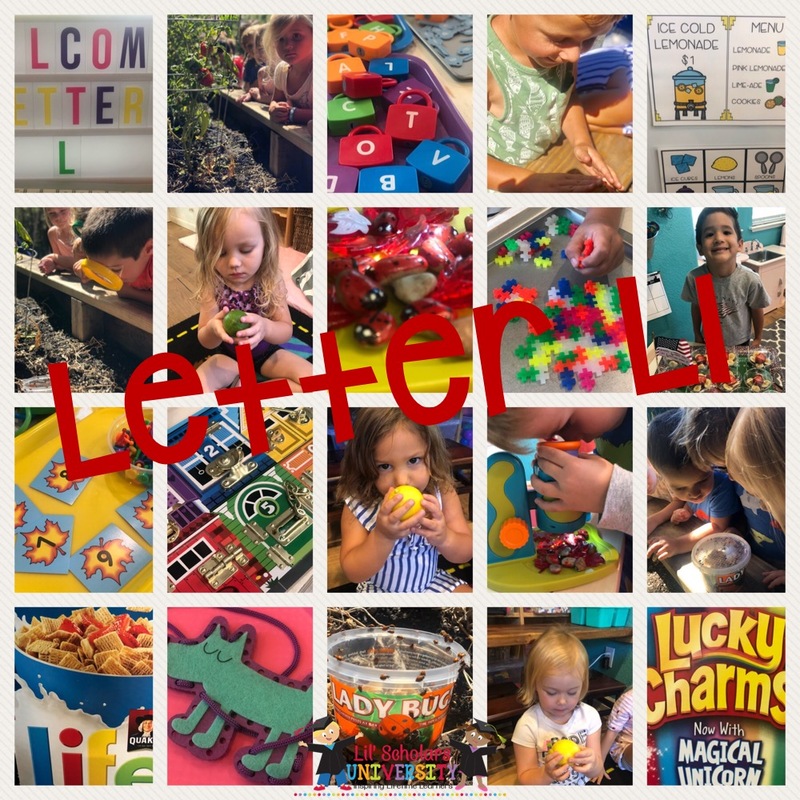 We also learned L is for… lacing, ladder, ladle, lady, ladybug, lake, lamb, lamp, lantern, large, lasagna, laughter, lavender, leaf, leak, learn, leash, left, Legos, legs, lemon, lemon aid stand, lemon meringue pie lemur, lentils, leopard, leotard, leprechaun, let, letters, lettuce, library card/book, licorice, lid, Life cereal, light, light/heavy, like, lime, linguine, lion, lips, listen, literature, little, lizard, llama, lobster, locket, locks, log, lollipop, look, lotion, love, lowercase letters, Lucky Charms, lunch, lunchbox, and so much more! Learning with the Letter L! Learning all about the Letter L!